Rosary College/Dominican University has participated in study abroad programs both as the primary agency and as a participating member. Our official programs have been in Villa Schifanoia, Fribourg, London and several smaller week-long programs such as our Easters in Rome and literary gatherings during Spring Break in London. We've also partnered with other colleges and universities through foreign programs such as those in Salamanca and Strassbourg. Villa Schifanoia, also known as Pius XII Institute, was an Italian graduate school of the fine arts for women run by Sinsinawan Sisters from October 10, 1948 until the mid 1980s. The school was a gift from the Honorable and Mrs. Myron C. Taylor to His Holiness Pius XII, and its ownership was transferred in 1941 with the understanding that the estate would be used for the education of American women irrespective of race, creed or color, under the direction of the Dominican Sisters of Sinsinawa, Wisconsin. War delayed the project until 1946, when three Sisters established residence and began the work of organization. The Villa is located in San Domenico, a suburb of Florence and midway between the city and Fiesole. 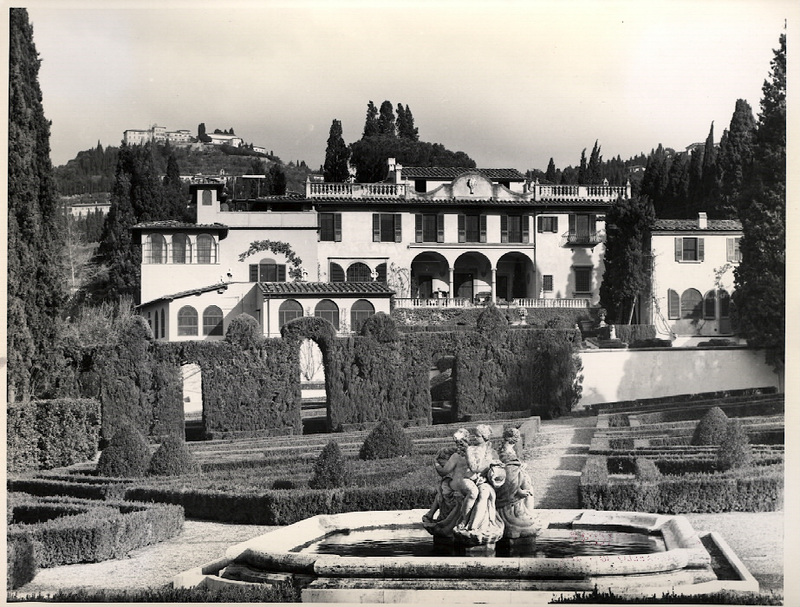 The Villa is actually comprised of a complex of buildings, and the main structure at the time was the art studio, which overlooked the hills of Fiesole as well as the estate’s manicured grounds and hedge labyrinth through a north wall made entirely of glass. The primary grounds and buildings of the Villa were built in the 16th century, though a chapel built in the 1840s featured prominently in the lives of students during this time. Pius XII Institute had for its primary purpose the professional and artistic development of American women in the fine arts. The secondary purpose was to cultivate an appreciation of the contribution of Italy, and especially of Florence, to western culture. Programs were offered in the history, theory and practice of the arts, as they conform to the principles of Christian scholarship. The school also offered a degree in electronic music composition, and for a time the renowned opera singer Tito Gobi held summer courses there. Admission was limited to those already with bachelor’s degrees in the arts, and knowledge of the Italian language was required. The Dominican University Archives currently hold a large collection of graduate theses submitted to Rosary College by students from Villa Schifanoia, though they are as yet uncatalogued. Please contact us if you would like more information about these graduate documents. Historical materials drawn from Villa Schifanoia box 4630, History. The Swiss Institut de Hautes Etudes was founded by the Reverend Joachim Berthier, O.P. under the direction of the Delaquis family, in 1901. By 1917, Mother Samuel was invited, at the behest of Reverend John McNicholas, O.P. (later Archbishop of Cincinnati), to accept a position as director of the school. After a difficult period of travel, Sisters George Adamson and Mary Grace, who were sent by Mother Samuel to study the situation, finally arrived in Fribourg on August 17, 1917, and just as quickly decided to purchase the property. 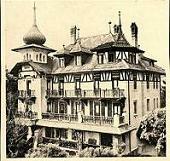 By 1918 classes were already being held, and students came to study at the Villa des Fougéres from Persia, Bulgaria, Rumania, Germany, France, Italy, Belgium, Spain, Poland, South America and Switzerland. As with Villa Schifanoia, WWII interrupted any plans that the Sisters had for the school. Normal operations were discontinued from roughly 1939 until 1946, though much work was done on the grounds to help allay the suffering of injured military personnel; for a time the second floor was even occupied by the Swiss Military, and the ex-president of Poland sought refuge from encroaching dangers. By 1946 Sisters Evelyn Murphy and Rodolpha Engstrom returned to Fribourg to make arrangements for reopening the school, though no American students were able to attend the school until the following year. In 1959 a new wing had to be built to accomodate the increasing enrollment in the program. Four institutions came to be involved in the co-operative Villa des Fougéres program by 1968: Rosary College, Georgetown University, LaSalle College and Providence College. Programming continued to grow through the 60s and early 70s, but by 1979 various factors, including a steady devaluation of the dollar against the Swiss franc, led to the cessation of several programs and a sharply decreased influx of students. The facilities were eventually rented out, and the buildings and grounds were sold in the early 1980s. Historical materials drawn from Fribourg box 4787 &mdash 4792, 1918 — 1968: Rosary in Fribourg program, as well as from 1979 work reports. 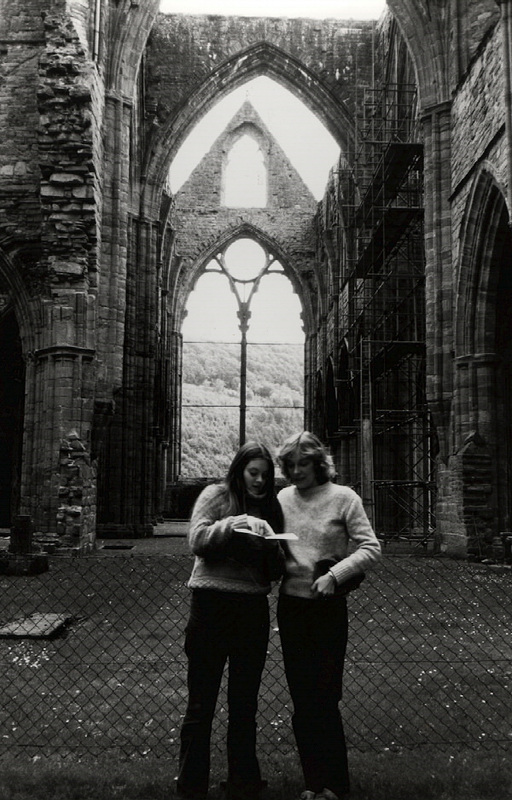 Rosary College announced the establishment of the Semester in England program in 1971, though plans for the program began to form as early as 1967. Sister Mary Brian Durkin was the program’s first Resident Director, and students of English were offered a broad array of cultural opportunities through the London Semester program; the first year alone offered students a chance to watch theater productions at Stratford-Upon-Avon, to have guided tours of the Tate Gallery, the British Museum & the Victoria and Albert Museum, and to travel to Scotland and Paris. In addition to the scholastic programming, the Sisters experimented with home stay programs from the mid 1970s to mid 1980s. Students then and today are also required to fulfill a certain number of “contact hours” in the course of their time in London. Another popular feature is the tutor program, where individual students will have time with relevant tutors that support any particular focus of study that each student might have. The London Program continues to today, and offers “ an innovative, non-traditional program combining a rigorous academic curriculum with a wide array of experiential learning opportunities.” Please visit the information page on the program for more information. Historical materials drawn from London box 4874. Rosary College / Dominican University has partnered with numerous other institutions to bring foreign study opportunities to its students. One of the earliest of these study abroad programs, which began in 1987, was the program in Strasbourg, France. Rosary College, partnered with the Institut International d‘Études Françaises, offered students programs in French Literature, European Life and Culture, European Social, Political and Economic Institutions, as well as language courses in German and French. In later years, Dominican University offered programs through the Université de Strasbourg, but today study in Strasbourg is no longer offered. Throughout the years, Dominican University has offered programs in Ghana, China, Nantes, Florence and Salamanca. Please check with the Archives for historical information on any of these programs; for information on current programs, please check the official Dominican University Study Abroad web page.